Nobody likes meetings — especially ones that are poorly scheduled. Smart meeting schedulers 5 Calendar Management & Scheduling Tools for the Year 5 Calendar Management & Scheduling Tools for the Year Keep on top of everything in your schedule. 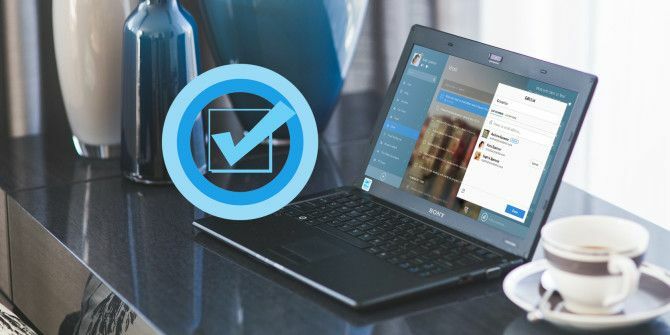 Here are five free tools that can be particularly helpful for keeping your calendar in order. Read More have been helpful as they can look at your calendar and match it up with other participants. But now, there’s a better solution using Microsoft’s artificial intelligence. Calendar.help is a new tool that uses Cortana to schedule meetings with people outside your company. Calendar.help is the brains of the operation while Cortana is the “human-like” interface for the personal touch with its penchant for conversational assistance. How Does Calendar.help Schedule a Meeting? Calendar.help works with Office 365, Outlook.com, and Google Calendar. Cortana takes care of the back-and-forth messaging between meeting participants while the artificial intelligence works in the background to slot the right meeting at the optimal time. Just a small catch: To use Calendar.help, you will need to sign up for the preview waitlist with your work email. Calendar.help peeks into your calendar and sees if you are an ideal candidate for the program. Then, you can go to work and leave meeting decisions to the artificial brain. Write the first email. Send the first email to your contacts. Just CC: Cortana in the mail. Give instructions to Cortana once. Tell it more about the meeting like the length of the meeting. Thanks to natural language processing capabilities, you can speak to it in complete sentences. For instance, you can tell it “let’s make this one 90 minutes” or “make this a Skype meeting”. Or use default preferences instead. Cortana can also use default preferences you set up in advance for all meetings. Send the email. Cortana uses your calendar to find the right time and suggests at least three time slots to the participants. Cortana handles all the back and forth emailing with others and it doesn’t clutter your inbox. This exchange continues till the right time that works for everyone is found. Cortana also follows up with attendees if they don’t respond within 48 hours. Meeting is scheduled. With the date, time, and other details confirmed, Cortana creates an event in your calendar and sends out the final invite to everyone. Prepare for the meeting. You can check the status of the meeting anytime with an email to Cortana. Thanks to the natural language used by Cortana, she feels like a real-life assistant. Calendar.help takes care of the mundane and leaves you with time to focus on the nitty gritty details of the meeting instead. What are your first impressions? Do you use any smart scheduler for your meetings? Explore more about: Artificial Intelligence, Calendar, Meetings, Microsoft, Microsoft Cortana, Microsoft Office 365, Microsoft Office Tips, Windows Calendar.